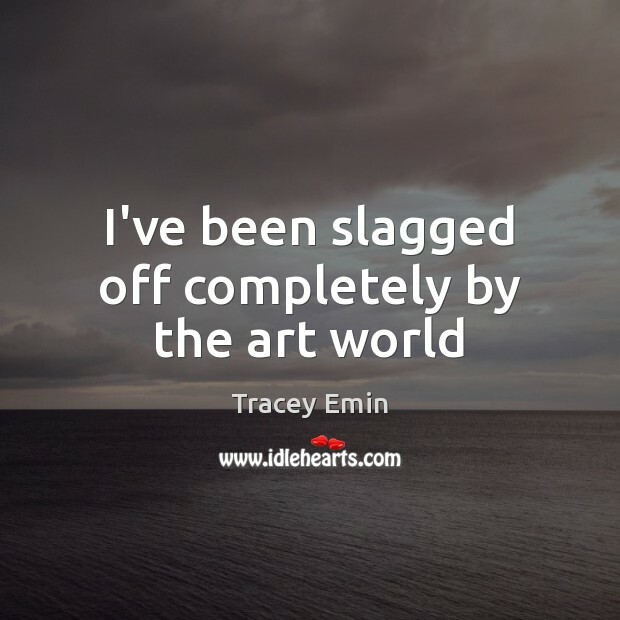 Quotations about Art World. Quotes to stimulate mind and drive action! Use the words and quote images to feed your brain inspiring things daily! 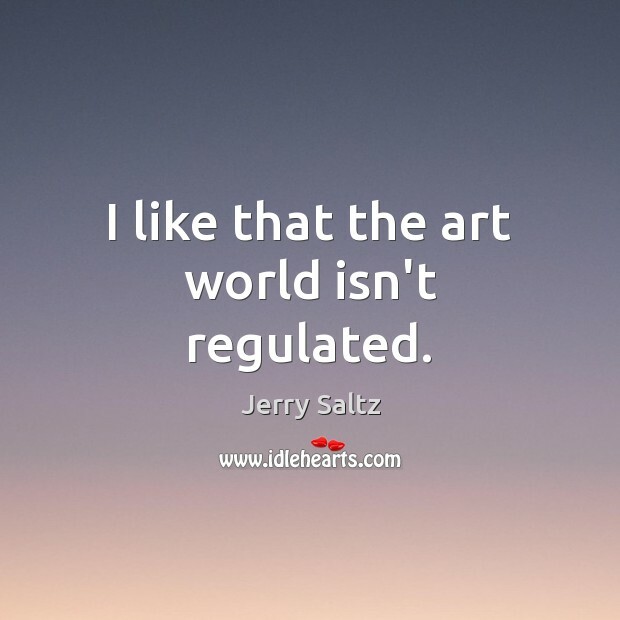 I like that the art world isn't regulated. More and more in the art world are becoming moralistic, telling artists and critics what they should and shouldn't write, do, or make art about. 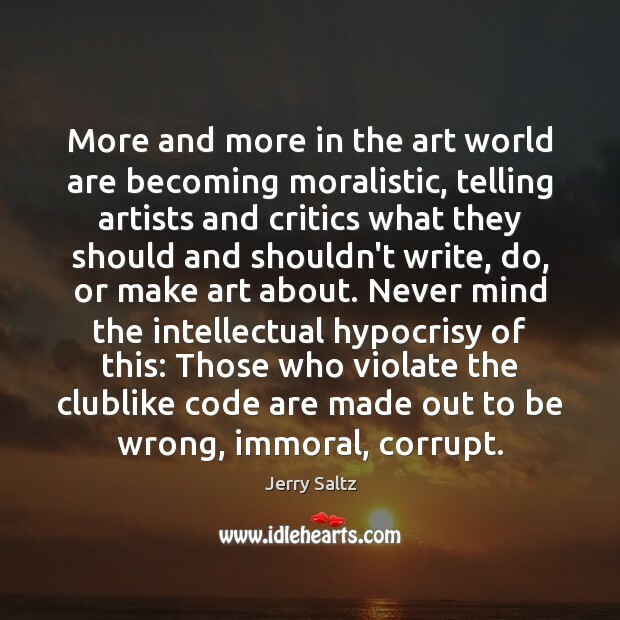 Never mind the intellectual hypocrisy of this: Those who violate the clublike code are made out to be wrong, immoral, corrupt. 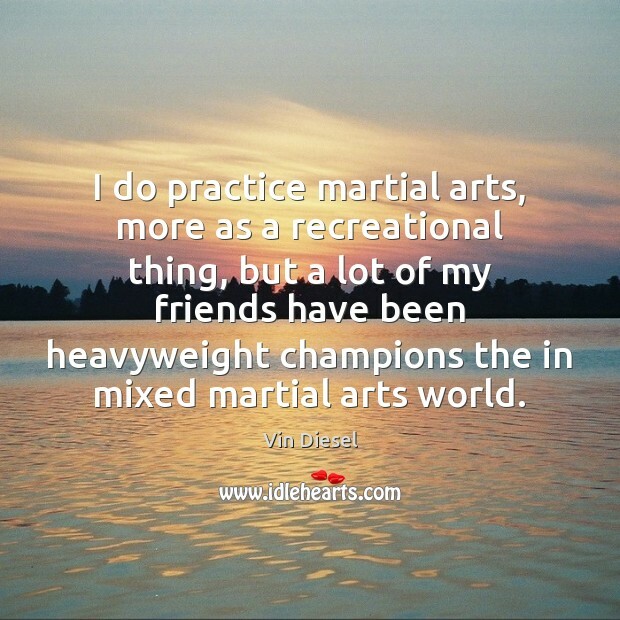 I do practice martial arts, more as a recreational thing, but a lot of my friends have been heavyweight champions the in mixed martial arts world. I believe that it is important for the artist, painter, poet, dancer, etc. 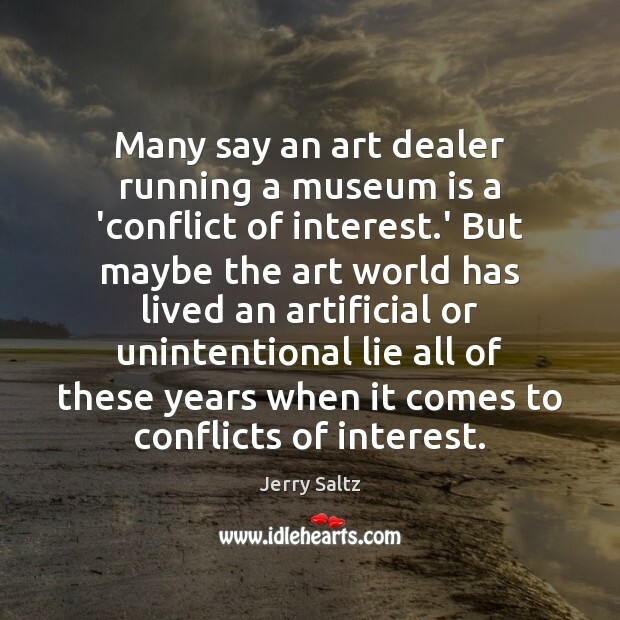 to keep in mind that it is the art that drives the art world and not the other way around. 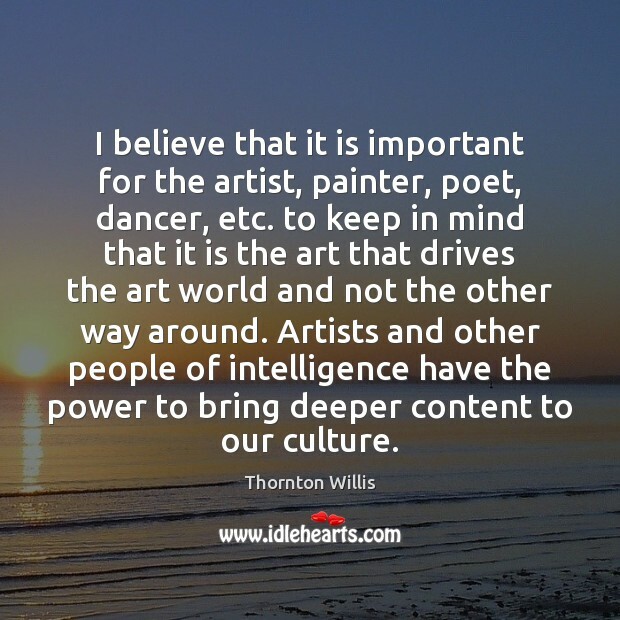 Artists and other people of intelligence have the power to bring deeper content to our culture. 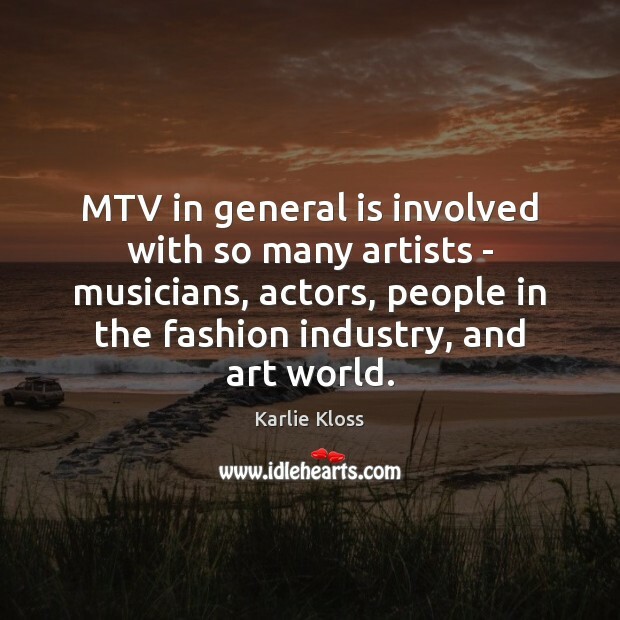 MTV in general is involved with so many artists - musicians, actors, people in the fashion industry, and art world. My mother's an artist. 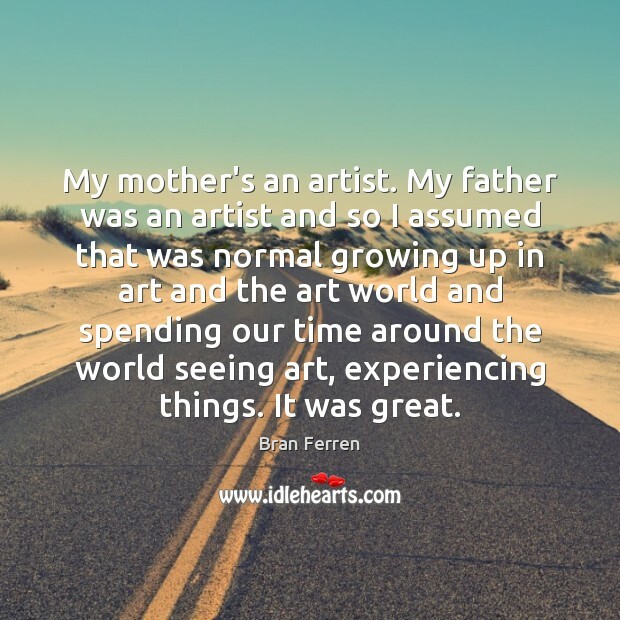 My father was an artist and so I assumed that was normal growing up in art and the art world and spending our time around the world seeing art, experiencing things. It was great. I'm always trying to bring unusual content to a different audience - a non-art-world audience. 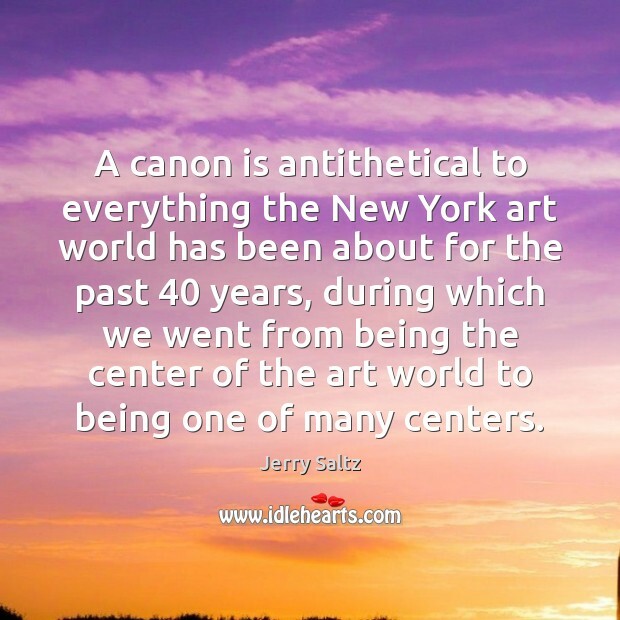 A canon is antithetical to everything the New York art world has been about for the past 40 years, during which we went from being the center of the art world to being one of many centers. 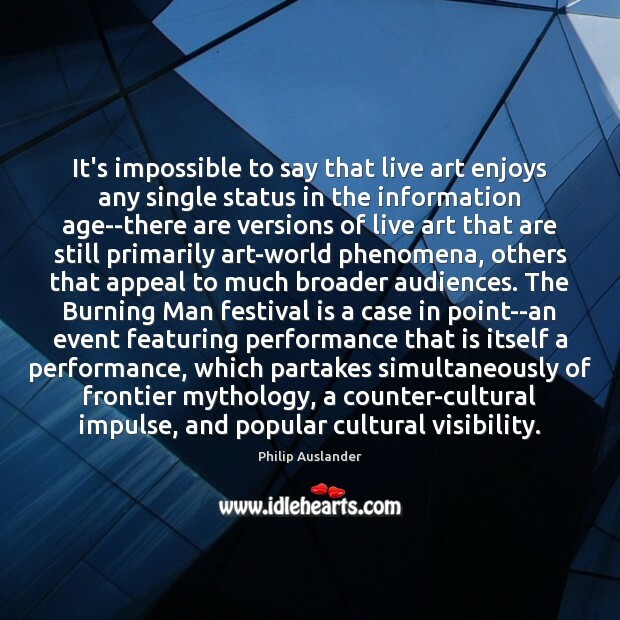 It's impossible to say that live art enjoys any single status in the information age--there are versions of live art that are still primarily art-world phenomena, others that appeal to much broader audiences. The Burning Man festival is a case in point--an event featuring performance that is itself a performance, which partakes simultaneously of frontier mythology, a counter-cultural impulse, and popular cultural visibility. I hate it when people say, I'm an artist. I think, well, I'll be the judge of that. 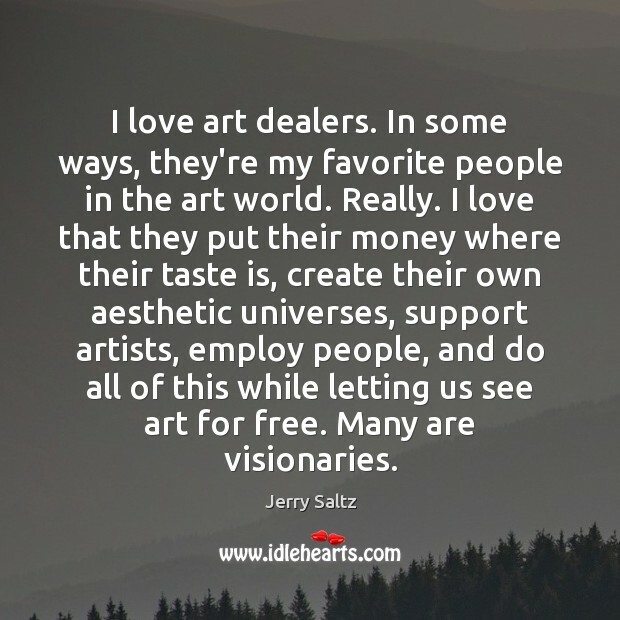 And I don't think artist is a job description. 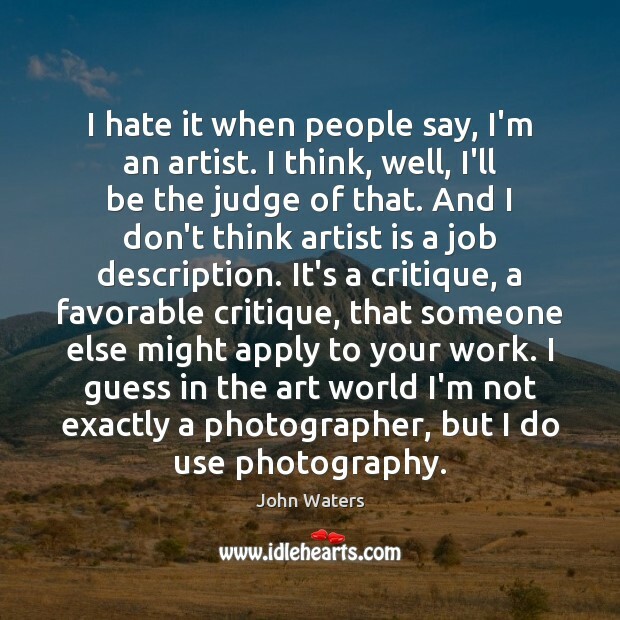 It's a critique, a favorable critique, that someone else might apply to your work. I guess in the art world I'm not exactly a photographer, but I do use photography. 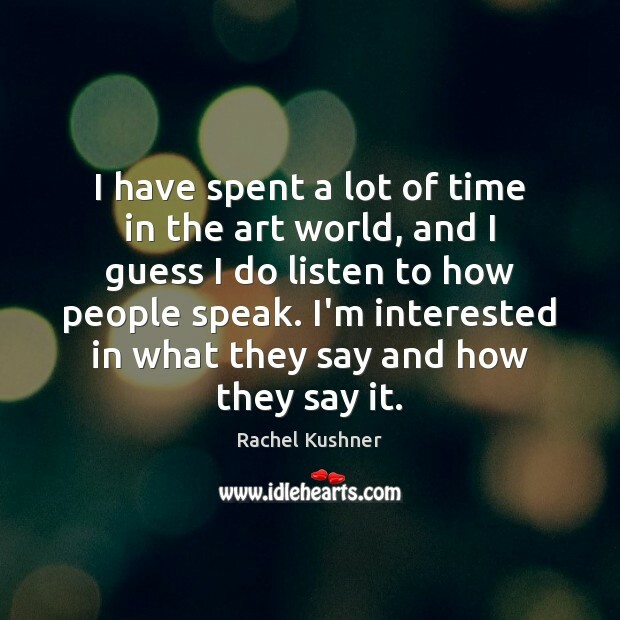 I have spent a lot of time in the art world, and I guess I do listen to how people speak. I'm interested in what they say and how they say it. 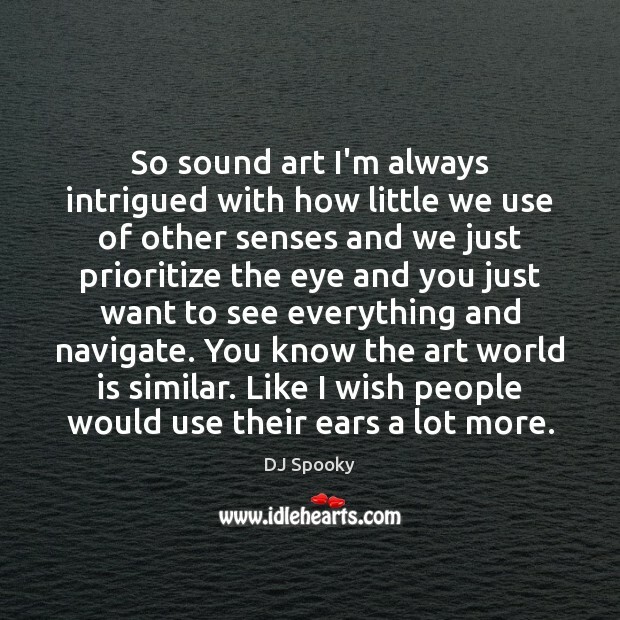 So sound art I'm always intrigued with how little we use of other senses and we just prioritize the eye and you just want to see everything and navigate. You know the art world is similar. Like I wish people would use their ears a lot more. 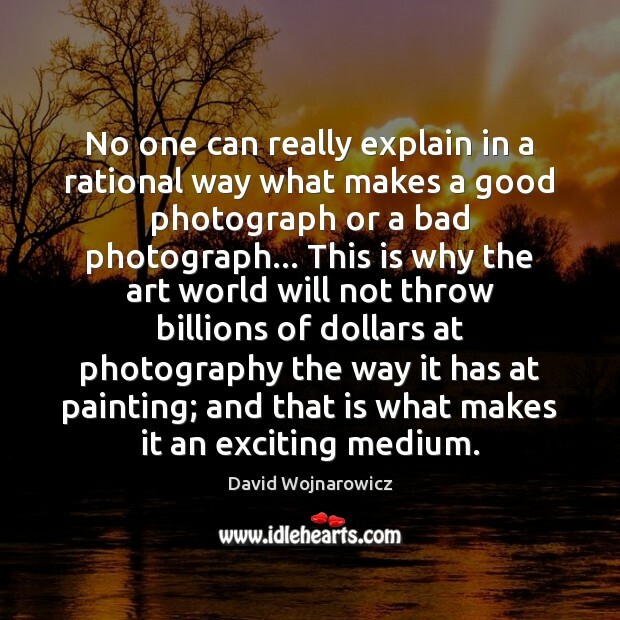 No one can really explain in a rational way what makes a good photograph or a bad photograph... This is why the art world will not throw billions of dollars at photography the way it has at painting; and that is what makes it an exciting medium.